This is a part of the Tessa series. 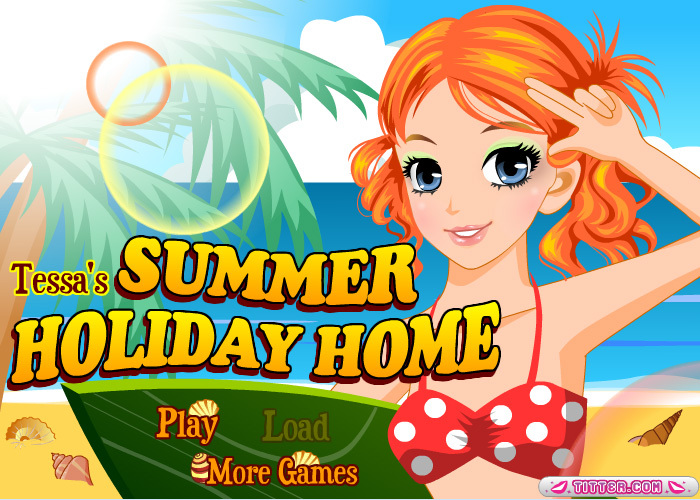 During holidays and vacations, Tessa goes to her holiday home near the beach. It’s a beautiful house with a lovely garden, a terrace with place enough to have a barbeque during the evening, a Jacuzzi for relaxing and a beautiful swimming pool on top of the house with a view to the sea. I would like to stay there for vacation and I think you would like to stay there, too. You can decorate everything in this house the way you like it, and you can put Tessa and her friends on the places you like.